Is My Stockton House with Code Violations a Ticking Time Bomb? 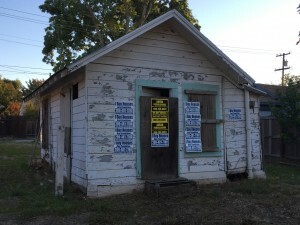 Code Violations in the Stockton Real Estate Market are on the rise and the issuance of code violations help to keep the ascetic and physical condition of vacant houses under control. 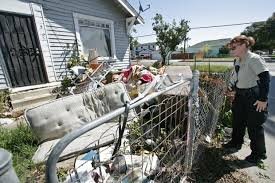 If you own a vacant house in Stockton, that is littered with debris and garbage, has abandoned vehicles, has overgrown grass or weeds, trees that are dead or fallen branches, windows and doors that are not boarded up, or has visible non-permitted work or construction, be on the lookout for a Stockton Code Enforcement Officer to “Red Tag” your slice of the American Dream. The City of Stockton has very few tools in its box when it comes to forcing homeowners to clean up an unwanted or vacant house, but the one with the most teeth seems to be the issuing of a “code violation” or “Red Tag”. While code violations are not new, the number of recent code violations issued to vacant houses that dot the Stockton Real Estate Market and neighborhoods has become overwhelming. 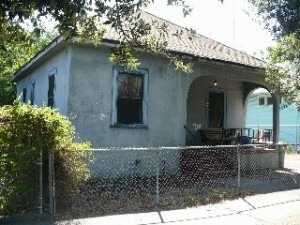 Certainly homeowners of Vacant houses in Stockton have always have their share of challenges, with squatters and vandalism, but now the City of Stockton has upped the ante by adding another financial burden in the form of fines and fees levied through Code Violation citations and they and their potential cost are no laughing matter. With that citation will come a date that the work needs to be completed by and if you don’t comply the fine is only the beginning. Left undone, the City by ordinance can hire an outside contractor to complete the work and bill you. Not only that the City is not required to get three bids. They just get the job done and all at your expense. 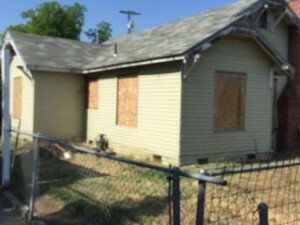 While “Red Tagging” a property for “code violations” is nothing new, the City of Stockton has taken on a new tone and posture for homeowners that do not act quickly and in good faith to what were once somewhat lenient standards and time frames have become out and out sprints for vacant house homeowners to get corrected. Making matters even worse, Red Tags can sit on houses for weeks unnoticed by out of town homeowners and because the homeowner is unaware of the alleged violations makes no difference to the city. 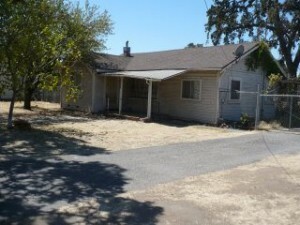 All of a sudden the stakes have gotten much higher for owning a vacant house in Stockton. After analyzing the entire vacant house dilemma within the bigger Stockton Real Estate Market, it becomes apparent that there are at least 5 factors driving the sheer number or “red Tags” issued over the past three years. 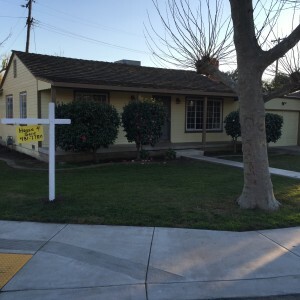 The Stockton Real Estate market has hundreds of vacant houses. The Sheer Number of Complaints. The City of Stockton is receiving a record numbers of complaints from neighbors that are tired of the blight seemingly on every block within the city. Vacant houses that are not maintained drive real estate prices down. 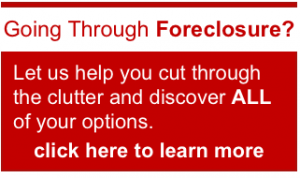 The Record Number of houses in Pre-Foreclosure or Foreclosure. 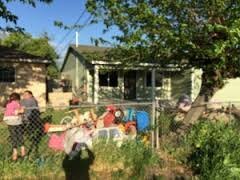 Making it more challenging for the City of Stockton and the overall Stockton Real Estate Market is that a great number of the vacant Stockton homes are in one stage of foreclosure or another and without any on site resident to take responsibility for the home. So, the City looks to the Mortgage holder or bank to foot the bill to maintain the property. 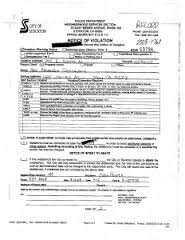 If the banks balk or haven’t foreclosed on the property being red tagged, the city files a lien against the property for later collection. Budget Deficits: The city of Stockton’s budget woes are well known and “red tagging “properties in Stockton does mean additional revenue. Even if the City cannot collect that revenue today, it will be collected at the time that any property with any outstanding code violations is sold. Vacant houses don’t sell to conventional buyers and they don’t sell fast. Houses left vacant for two and three years are not selling in Stockton and Days on market as an indicator of what is selling, is at record setting levels, with vacant homes leading the way. I have talked to many vacant house homeowners who own investment property in Stockton for years and they have never seen a more aggressive code enforcement effort as is going on today. Likewise I have talked to several code enforcement officers and they have never seen the sheer numbers of vacant homes in a state of disrepair. Even more challenged are absentee homeowners of vacant properties that came by the ownership of these properties unexpectedly. Imagine inheriting a house that has not been maintained for 10, 20 and even 30 years, and suddenly you are financially responsible for its upkeep and you live 3000 miles away. Imagine moving for job relocation or a new employment opportunity and being unable to sell your existing house. Imagine inheriting a house or divorce and individually no one can afford to maintain or keep the house, so it ends up vacant and a target. Whatever the situation, red tags and their respective fines can be financially crippling to any family that is already struggling to get by. Code violations are so common on some properties that have been abandoned for 3 to 5 years that they will never be sold as the cost of the fines and cleanup already performed by the city exceeds the value of the house and the land. In these cases the City and County demolish the structures and you are still responsible for the maintenance of the vacant property or lot. 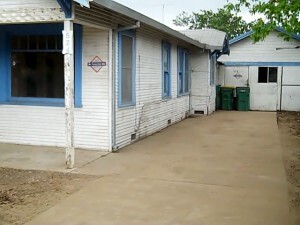 If you have a Stockton House with Code Violations call us at (209)481-7780. So, a word of caution to all Stockton Real Estate homeowners with vacant houses: If you own a vacant house in Stockton, do not let the lawn get tall, the debris accumulate or the trees get overgrown… and do not ignore the warnings, your vacant house is a financial time bomb waiting to explode. If you receive a red tag, call the city and work out a satisfactory solution. If you foresee an ongoing issue and you do not have the financial ability to pay for them, call a local Cash Home Buyer that will buy your house in it’s as is condition. 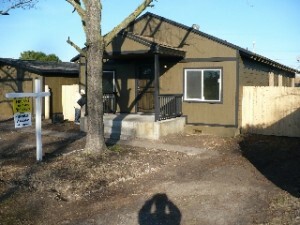 I Need to Sell My Stockton House With Code Violations! 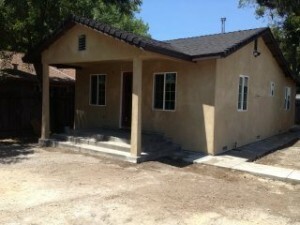 If you need to sell your House Fast in Stockton, Modesto, Sacramento, Manteca, Lodi or Tracy, CA Call Westbrook Real Estate Investments at (209) 481-7780 or visit http://www.westbrookrei.com or www.IBuyHousesStockton.com and we would be happy to offer you a free market analysis and make you an all cash offer for your house.